Since 2008 Bernd Schmitt has been Group Leader for detector development within the Photon Science Division at the Paul Scherrer Institut (PSI) in Switzerland. Under his leadership several detectors have been developed which are now commercially available and used at synchrotrons around the world. These detectors had a dramatic impact, almost completely replacing the previously used CCD systems, and they continue to improve measurements and enable new techniques to this day. The group is also involved in major detector development projects for XFELs, including SwissFEL and the European XFEL. 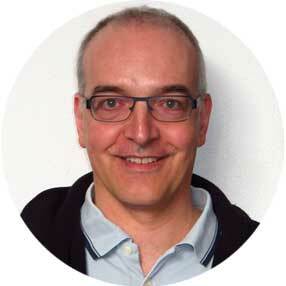 Before joining PSI in 1999 Bernd Schmitt was a CERN fellow working on CMS and OPAL. He studied physics at the University of Heidelberg and did his PhD at the University of Bonn and at CERN. He is frequently asked to join review panels and advisory committees for detector developments and for photon science.